In the late 1980s, Vivica A. Fox —born as Vivica Anjanetta Fox—began her formal acting career with roles in several daytime soap operas. One of those soap operas was the well-known “Days of Our Lives.” Since then, the award-winning actress had played several roles until she starred in a string of major motion pictures. Nevertheless, this is only one of many areas of success that this incredibly talented woman enjoys today—yes, aside from writing her “Every Day I’m Hustling” book. 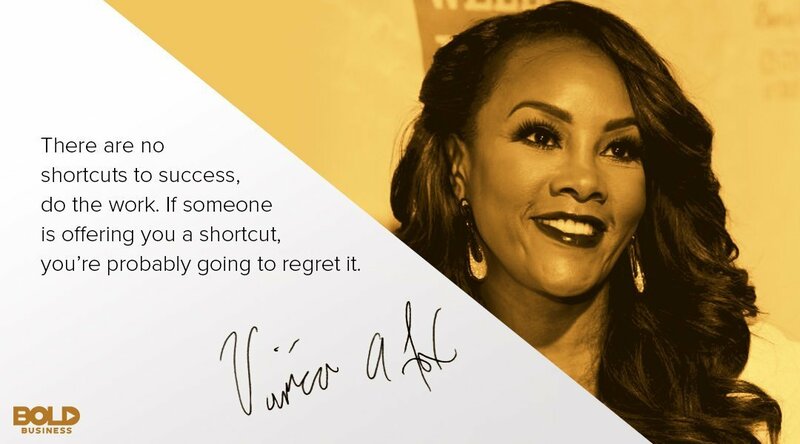 In this exclusive article and interview with Bold Business from Diversity MBA elite business leaders conference, Vivica provides her inspirational success story. From television to film, to production, few could keep pace with a “day in her life.” She has even recently published her own book—part memoir and part motivational book—“Every Day I’m Hustling”. However, despite what it may seem, getting there has been anything but easy for her. Indeed, Vivica A. Fox had to fight her own battles to become a successful actress. Surely, one can learn from her story and courage. Life starting out for Vivica A. Fox was not a piece of cake. When she was just 4 years old, her mother and father divorced—leaving her mother to raise four children. However, Vivica A. Fox saw this as something that founded the core of her strength. In her recently released “Every Day I’m Hustling” book, she explained that her mother believed in two things—hard work and God. Undoubtedly, this may be where Vivica A. Fox developed her sense of resilience and perseverance. After leaving her home in South Bend, Ind., Vivica A. Fox then attended college in California. It was shortly after this that she began pursuing her acting career. After performing at several small venues, she later received acting jobs in several soap operas. She then hit it big by landing roles on popular sitcoms including “The Fresh Prince of Bel-Air” and “Beverly Hills, 90210”. However, in her journey to stardom, she unquestionably hit dry spells. Television shows were canceled, and endless auditions went nowhere. For many people, this might have been enough to push one to consider other pursuits—but not for Vivica A. Fox. She kept walking toward her dream. At that point of her career, Vivica A. Fox relied on her faith and her hard work ethic to see her through. As described in her “Every day I’m Hustling” book—to be successful, you must make your own luck. In other words, success doesn’t just happen—you have to earn it and take it. Since that moment in her life, this bold leader has achieved more than anyone could have imagined. It all started with hard work and a belief that good things would come her way. Over the next several years, Vivica A. Fox has starred in dozens of major films. Her best-known early films include “Independence Day”, “Kill Bill: Vol. 1”, “Kill Bill: Vol. 2”, and “Set It Off”. (To note further, in 2017, she produced her own television show, “Vivica’s Black Magic”, for one season in Lifetime.) What’s more, Vivica A. Fox has played well-known roles in dozens of sitcoms for multiple networks. In fact, she has a current role in the popular television show “Empire” on FOX. Plus, with her “Every Day I’m Hustling” book, she is now a published author. Self-confidence and hard work go a long way. As Vivica A. Fox explains in “Every Day I’m Hustling”, many doors opened simply because of how she has conducted herself. While on Donald Trump’s “Celebrity Apprentice” in 2015, Vivica A. Fox consistently conducted herself with dignity even in the most difficult of situations. In the process, she was able to raise and to take home, in the end, a total of $60,000 for the charity, Best Buddies International. It is this genuinely positive and goodhearted spirit that has helped catapult her career. The same character has now paved the way for her as she hosts the new syndicated television daytime talk show entitled, “Face the Truth”. Appearing on weekdays on CBS, Vivica A. Fox offers truth “straight up” while extending solutions and support to guests. As Vivica A. Fox explains, every success in her life has resulted from hard work. That is the core message of her “Every Day I’m Hustling” book. If you want something, she believes you have to go out and work for it. You can never expect that call or knock on the door to come without doing something. This is definitely a core trait of what we refer to as Bold Leadership. Although she believes in patience and perseverance, she does not necessarily believe good things come to those who just wait. 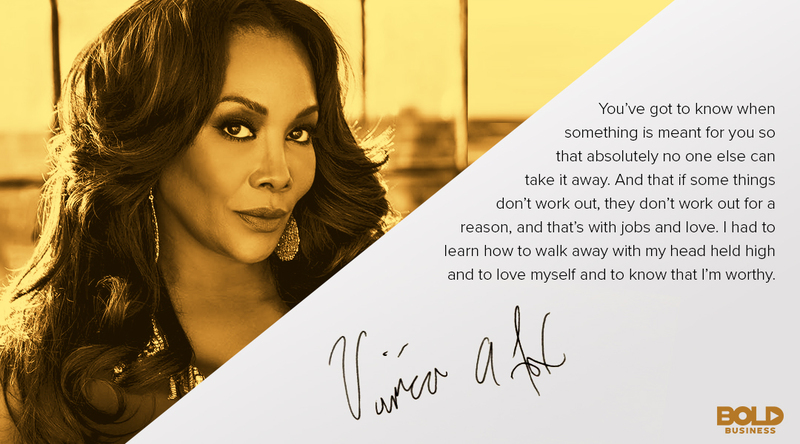 According to Vivica A. Fox, good things come to those who boldly go out and make their own success. 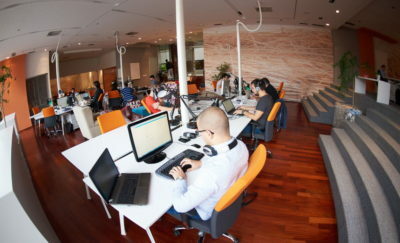 Quality content is crucial to attract the users to visit the website, that’s what this web page is providing. Hi there! Someone in my Facebook group shared this website with us so I came to give it a look. I’m definitely loving the information. I’m book-marking and will be tweeting this to my followers! Exceptional blog and amazing design.